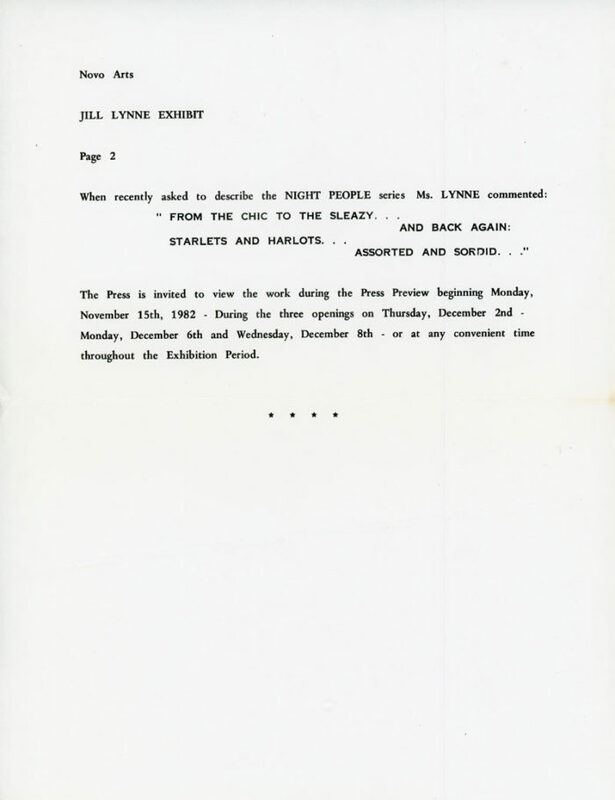 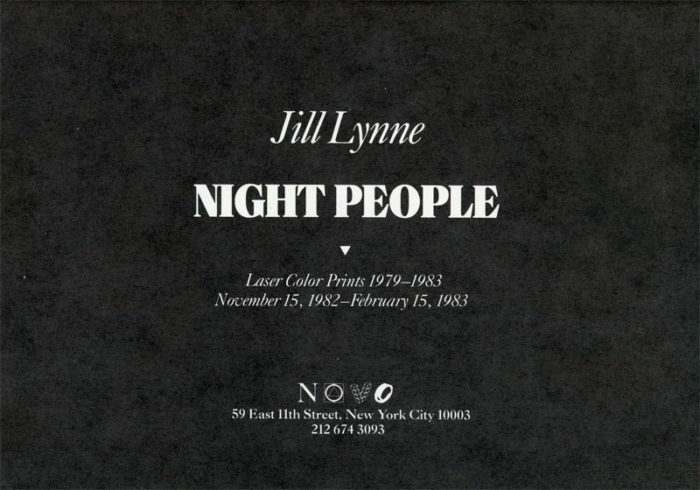 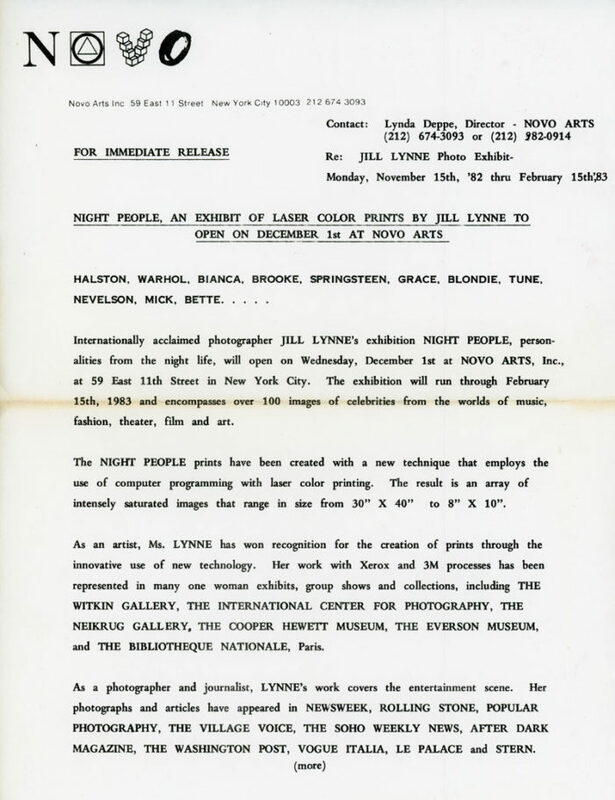 Folded card and press release for Jill Lynne’s exhibition Night People – Laser Color Prints 1979 – 1983 at NOVO Gallery, 1983. 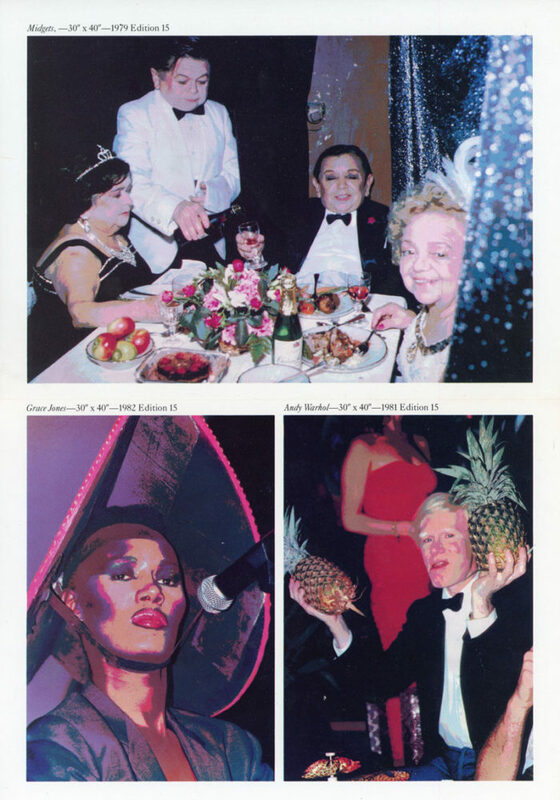 Three color images featured on the inside of the card, including portraits of Grace Jones and Andy Warhol. 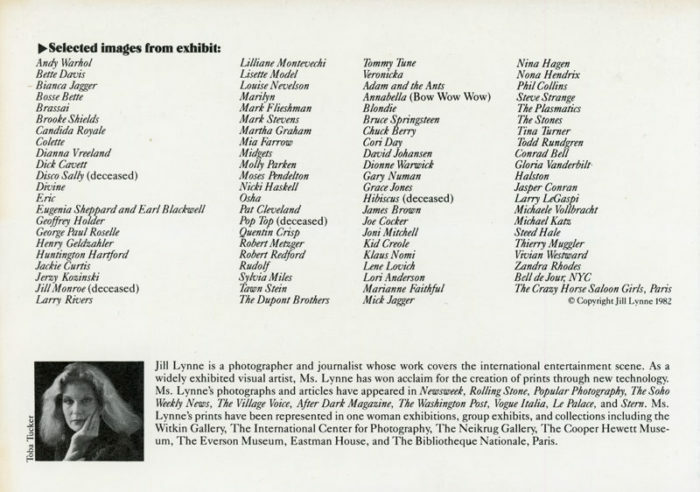 Card:5.5″ x 8″ when folded.